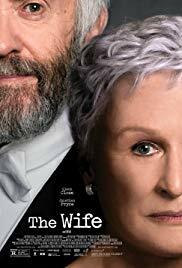 Film showing of The Wife, based on the book by Meg Wolitzer; directed by Bjorn Runge; and starring Glenn Close and Jonathan Pryce. Joan Castleman is a still-striking beauty with impeccable credentials, the perfect alpha wife. Forty years spent sacrificing her own talent, dreams and ambitions to fan the flames of her husband Joe and his skyrocketing literary career. Ignoring his infidelities and excuses because of his “art” with grace and humor. She has reached her breaking point. On the eve of Joe’s Nobel Prize for Literature, Joan’s coup de grace is to confront the biggest sacrifice of her life and secret of his career. Rated R for language and some sexual content; 100 minutes. Free showing, popcorn & soda.